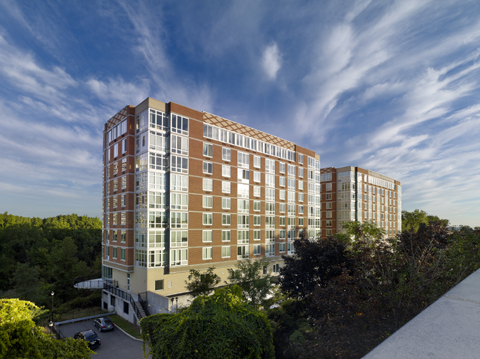 PALISADES PARK, N.J. – The spectacular two-bedroom Penthouses at Trio have quickly distinguished themselves in the Bergen County luxury housing market. Situated on the top floors of the two nine-story buildings in Palisades Park, the limited collection of condominium homes have inspired homebuyers with expansive living spaces, lavishly-appointed interiors and the ease and convenience of an amenity-filled, maintenance-free lifestyle. Priced from just $595,000 the Penthouse residences provide an unquestioned level of value over the competition with numerous designer interior appointments, considerable square-footage and the personalized level of service that comes in a signature high-rise building. Four different Penthouse floorplans are now available at Trio with desired elements such as separate kitchen and dining areas, two-and-a-half to three bathrooms, spacious master bedroom suites with walk-in closets, designer kitchens and more. 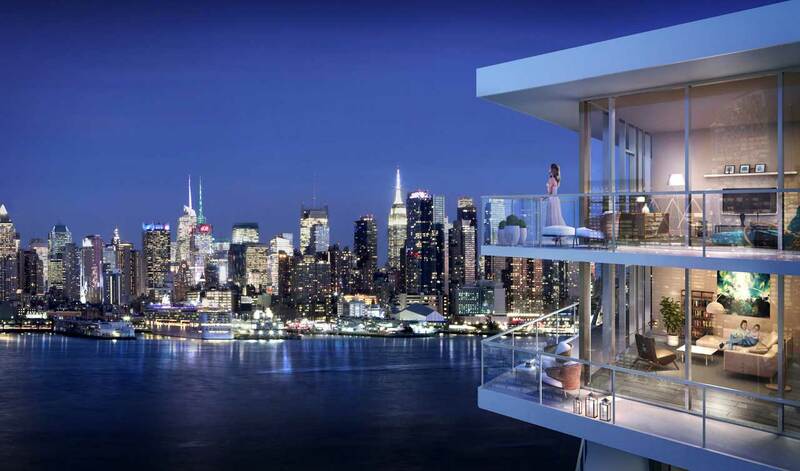 Some of the Penthouses offer spectacular New York City views, while others offer spanning vistas of the western-facing landscape. Homes are available with covered parking. The eclectic collection of resort-like amenities and services at Trio offers homeowners the opportunity to participate in a wide range of activities. Found within the building are a lounge with billiards, ping pong, a large screen TV and catering kitchen, a state-of-the-art fitness center, yoga studio, game room, virtual golf simulator, outdoor terrace and a business center. In addition to the Penthouse condominiums, Trio offers a selection of one-, two- and three-bedroom residences, which boast floor-to-ceiling windows, hardwood floors, and modern recessed lighting. Gourmet kitchens include granite countertops, stainless steel GE appliances, custom maple cabinets, and Kohler fixtures. Designer bathrooms feature Crema Marfil marble floors, granite countertops, custom maple vanities, and Kohler fixtures. All homes come with individual washers and dryers.